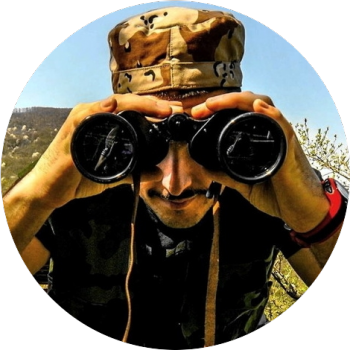 If you are in the market for a new pair of binoculars, you face many challenges. The biggest challenge is what does the number on binoculars mean? Great question as the terminology can be confusing. Here you can find a simple guide to help you understand the different numbers and become an expert at it. 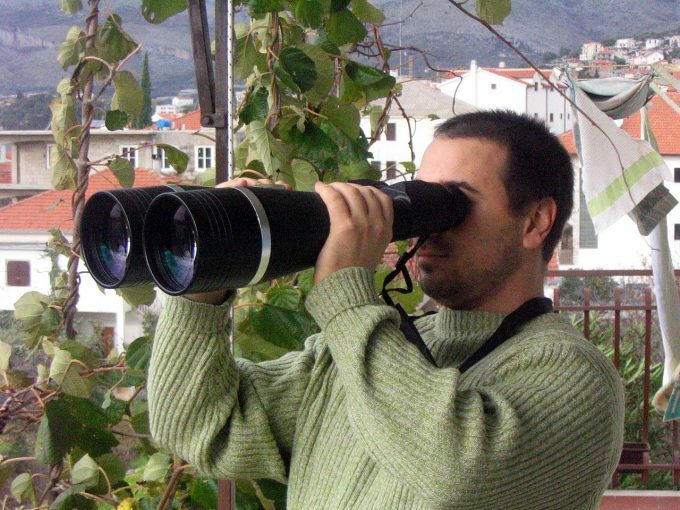 When you look at the different brands of binoculars available online, you normally see them refer to a 20x60mm. However, what does this mean? This is the first set of numbers, for our example, the number 20. 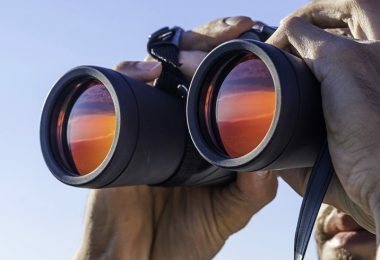 When you look through a pair of 20×60 binoculars the object you view appears twenty times closer than viewing it with the naked eye. This doubles the magnification and each application needs different degrees of magnification. 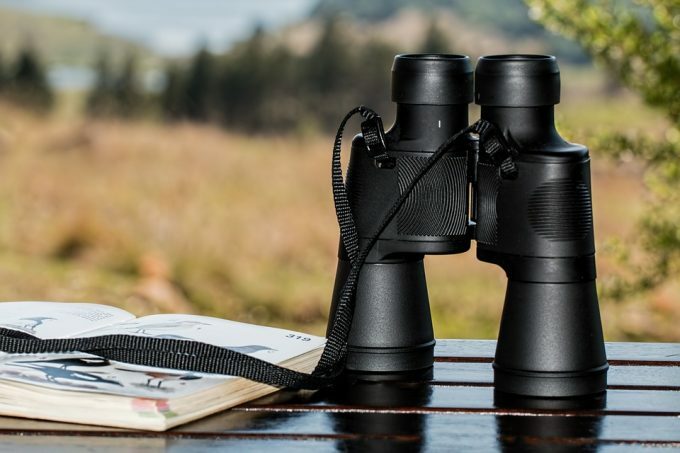 If you happen to own a 10-30×50 set this binocular gives you a variable zoom and can magnify and object from 10 up to 30 times. These units have a small lever normally found on the right side and help you to control the magnification with the thumb. The second number as per our example the 60 is the size of the objective lens measured in mm. This is the lens found at the far end of the device. The larger the lens the more light is gathered. This, in turn, doubles up the lens diameter to gather more light. The feature is helpful when you use your binocular in poor light condition and great for watching birds at dust or using it for astronomy. The downside is when using a 100mm objective lens, the performance is exceptional but is heavy to hold and carry around. The advantage is you can always use the binocular on a tripod to help keep the devices steady. The Field of View written as FoV for short expressed in either foot per 1,000 yards or meters per 1,000 meters. This means the higher the magnification the less area you are able to view at once. 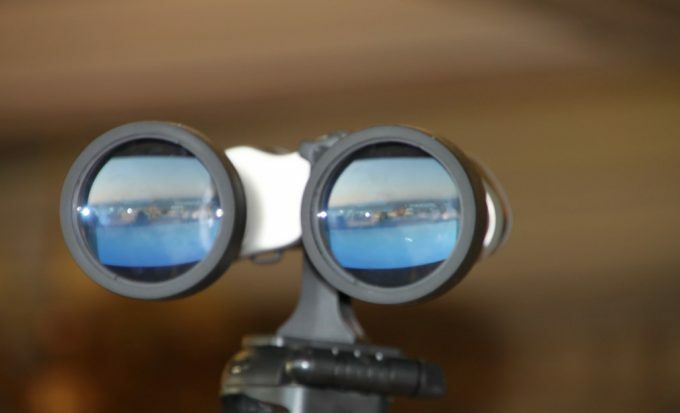 For an adequate view, you can consider buying a pair of binoculars with a field of view of 300 to 375 feet. However, you need to remember the higher the magnification, the smaller your FoV becomes as you are bringing the object closer. The FoV and Angle of View go hand-in-hand as both refer to the amount of horizontal view that becomes visible when you look through the lens. The AoV you will see displayed in degrees. The higher the number, the wider your view is of an area. For an excellent angle of view, you can look at anything over 6°. If you happen to see a very high degree of AoV such as 72°, the possibility is they multiplied the AoV with the magnification value. The exit pupil size is another important number to determine and allows you to know how well your binoculars work in low-lighting environments. This is the actual size of light leaving the eyepiece. The best way to understand this is to hold your binoculars +- 8-inches from the eyes. You will see two dots in the middle of the eyepiece where the light from the lens hit your eyes. This allows you to see an object you’re focusing one. This size normally needs to be greater than the pupil is. You calculate this by taking the objective lens diameter and divide it by the magnification size. For example with a 20×60 pair of binoculars, you have a 3mm exit pupil, while a 10×50 will have a 5mm exit pupil. 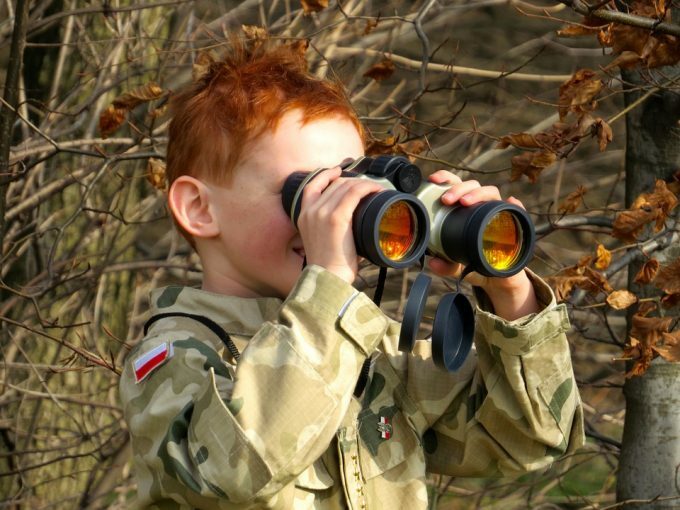 Choosing a pair of binoculars with 4mm and larger exit pupil works well for most situations as the bigger the better. 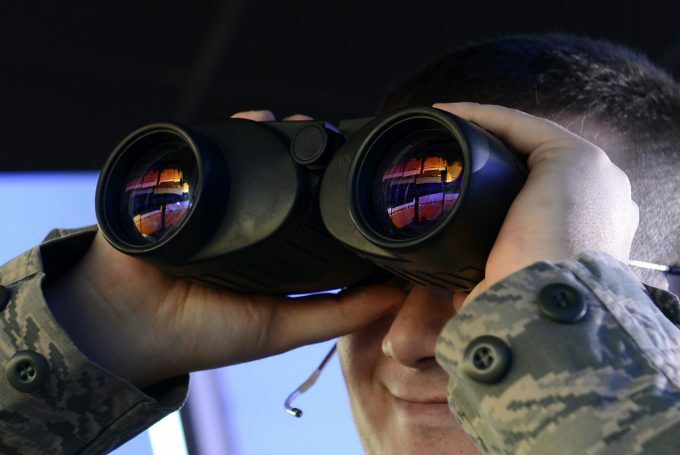 For spectacle wearers, eye relief plays an important part of using a pair of binoculars. The eye relief is the measurement in mm you can hold the eyepiece away from your eyes and still see a complete FoV. The problem is if you wear glasses, your eyes will be further back. The problem is when you have an eye relief of less than 10mm you will only see the middle of the object. The majority of the brands available give you an eye relief of 8 to 13mm. For spectacle users, the best eye relief is at least 15mm. Close focus tells you the minimum distance needed to focus the binoculars. 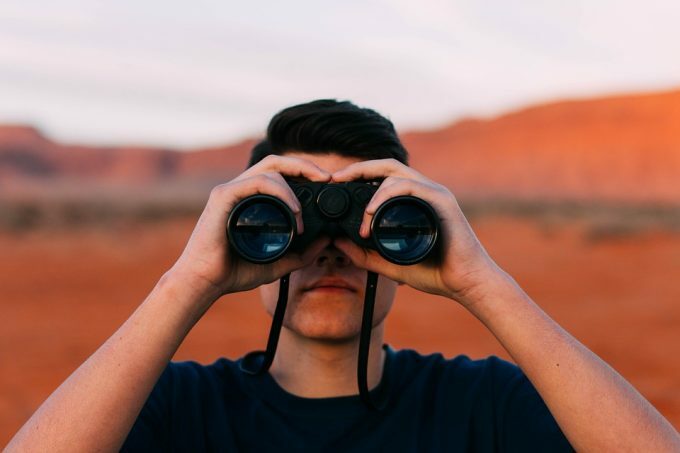 If a pair of binoculars has a close focus of 13-feet, this means you can bring the object you are viewing as close to you at 13-feet. The coating of the binocular determines whether you have a low cost or quality pair. For improving the amount of light gathered the binocular lens has optical coatings to help with this. The coating helps reduce the light transmitted and reflects it away. 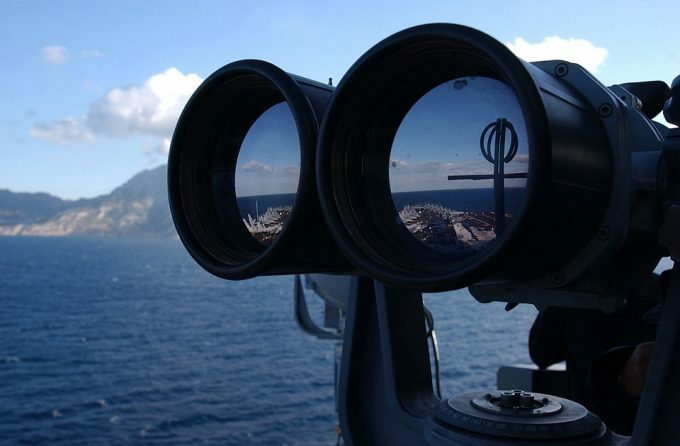 The older models of binoculars use to transmit 50% of light gathered. 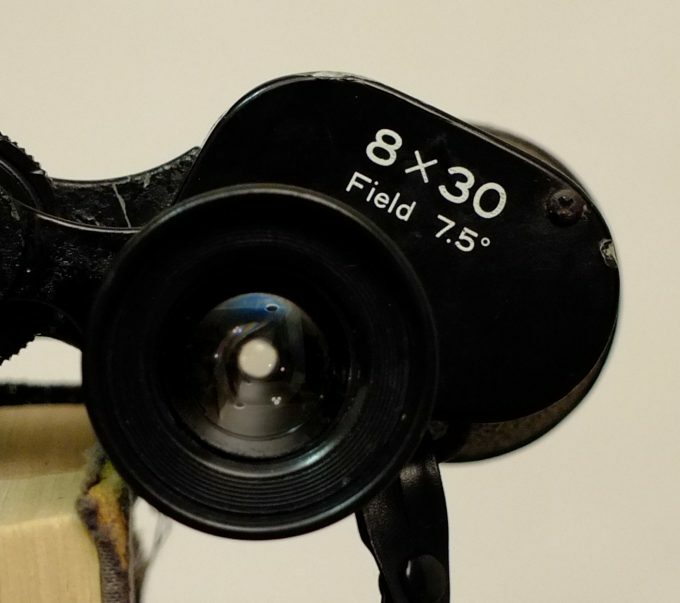 A pair of binoculars has up to eight lenses and some of them cemented together. The rest has an air to glass boundary where light crosses through. This is where the coatings important and needs to be on these boundaries. If manufacturers do not use a good coating the light is lost when transitioned. The important thing is you want an image to be sharp when viewed. 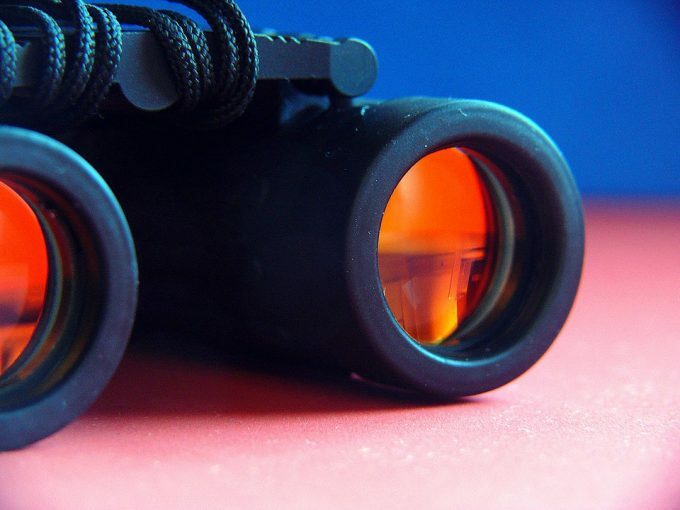 There are two types of Prisms used in binoculars the BAK-4 and BAK-7. 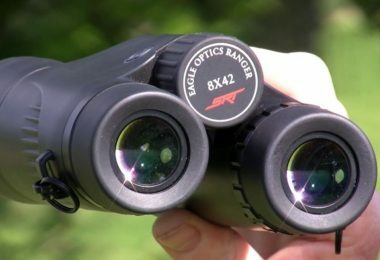 A pair of binoculars with BAK-7 prisms is in general cheaper as the glass is less dense. Buying a pair with BAK-4 prisms gives you a denser glass for transmitting light. These binoculars are more expensive. 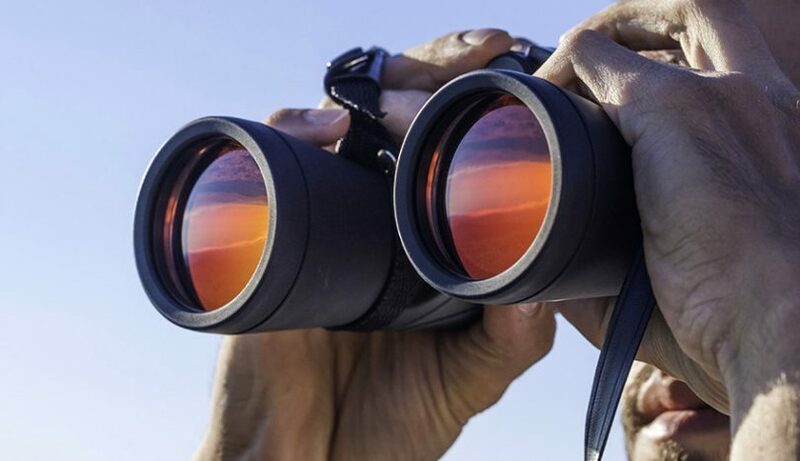 Now there is no more need for you to be concerned about, “what does the number on binoculars mean?” These are the most important ones mentioned here to guide you along your way when choosing the best pair of binoculars available. If you plan to view the hemisphere at night, choose a nice big aperture for the best viewing experience. If you need a lightweight and portable pair, choosing a smaller aperture is better. Remember, the higher magnification the device has the more stability you need to prevent it from shaking. Using a tripod will help to keep the unit stable for a good field of view. 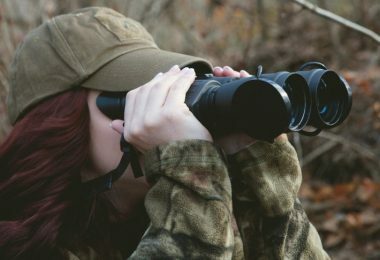 With the help of these guidelines, you will be able to decide for yourself, which pair of binoculars best suited for your lifestyle and needs. Finally, we’d love to hear from you. Is there anything else that needs to be added? Let us know in the comments section below.